Trying to get Yughues Ground Materials to work with RATSGAME Landscape Material. I got it working nicely with one layer by using the "Math Add" node http://i.imgur.com/5rgT535.png (A = RATSGAME/B = Yughues), but upon opening another layer that included WorldAligned Nodes I hit a brick wall, the damn node won't accept Float Values http://i.imgur.com/bvORURd.png. 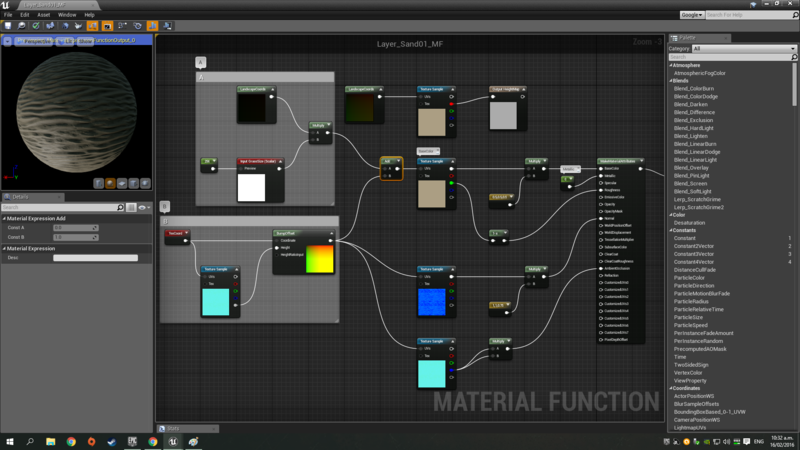 Can anyone see a work around or a node I could use to "convert" it to a 2D texture output?